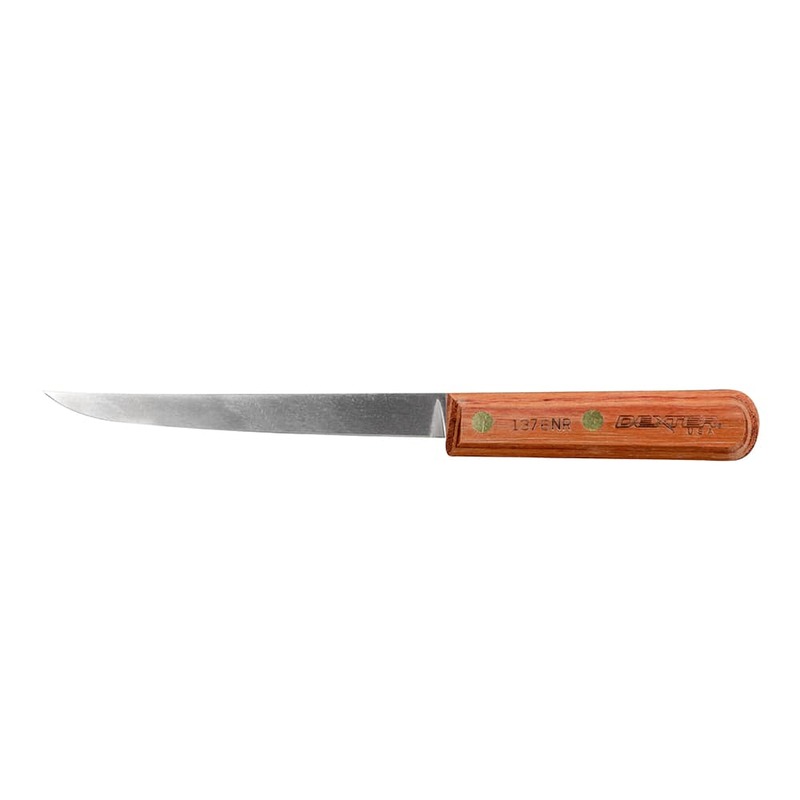 The Dexter 1376NR 02100 Traditional™ narrow boning knife easily cuts around chops, ribs, and more with its narrow blade design. The DEXSTEEL™ blade is strong thanks to a finger grain structure provided during the heat-treating process. To maintain a clean appearance, the blade resists stains. A half tang is created since the blade sits halfway down the handle. The Dexter 1376NR 02100 Traditional narrow boning knife has a rosewood handle that is secured to the blade with brass compression rivets.